Doves have been symbols of love and peace for thousands of years. 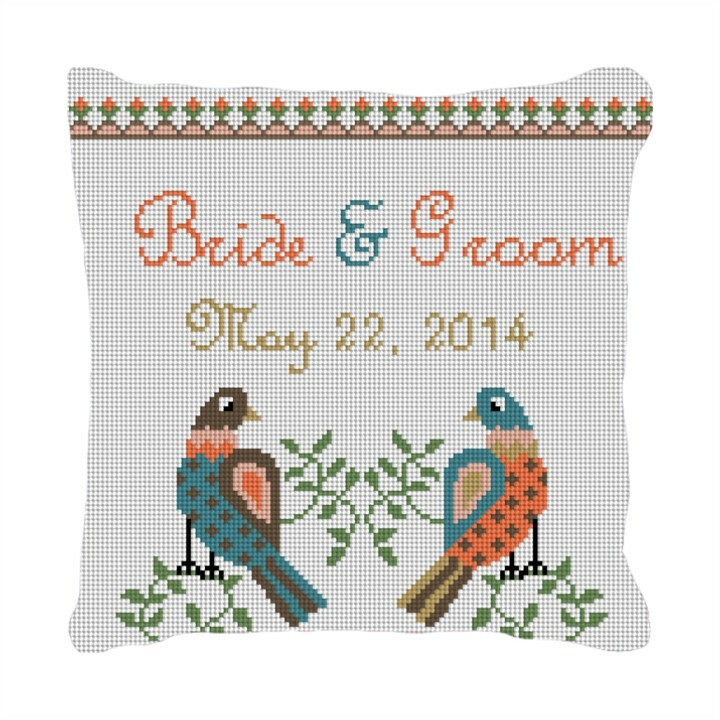 This ring bearer pillow features two doves in love and may be just the gift that the happy couple has been waiting for! Your pillow will be made to order and the names will be adjusted per request.